Video: See How A Scuba Diver Found A Good Friend Under The Sea!! Home / Entertainment / Animals / Video: See How A Scuba Diver Found A Good Friend Under The Sea!! 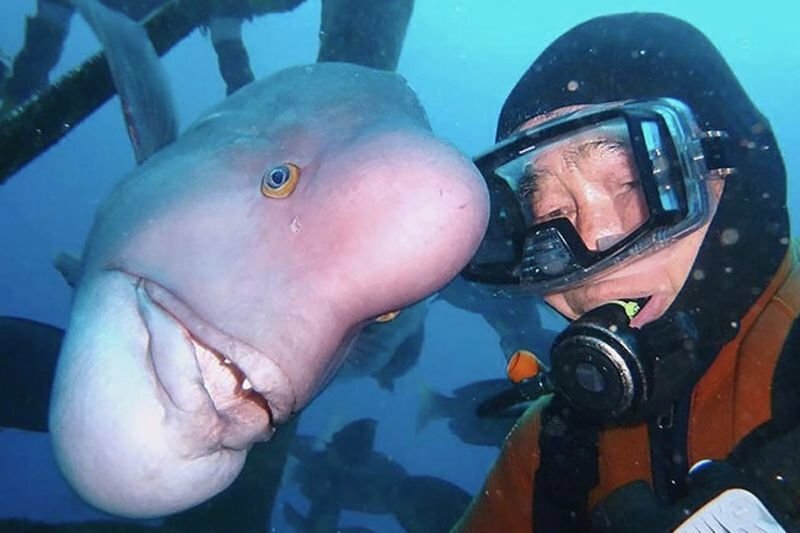 A Japanese diver has been friends with the same fish for 25 years; it is totally for real. Hiroyuki Arakawa has been entrusted to oversee one of the Shinto religion’s shrines called torii, which is located beneath the surface of Japan’s Tateyama Bay. Their beautiful relationship was captured on a viral video in which you can see Arakawa's custom of greeting the fishie with a kiss.